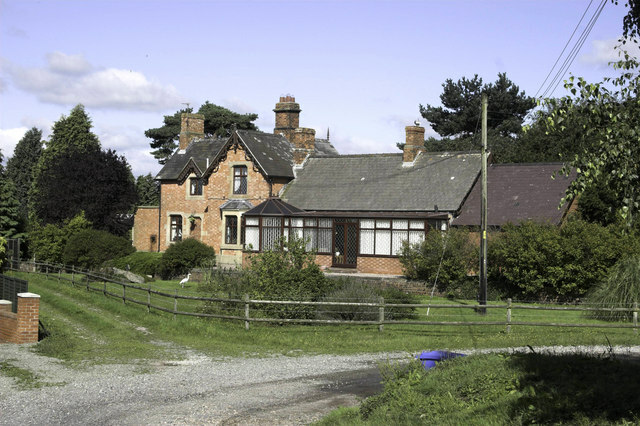 For over 100 years Bettisfield was an important station on the Cambrian Railways between Aberystwyth and Whitchurch. Later the Great Western and British Rail, both passenger and goods, ran the timetable as shown. Whitchurch and re-attached to the Shrewsbury to Crewe train. At Crewe it was unloaded and the train was then loaded with the morning mail and all the newspapers. It then ran overnight and could be heard around 3 a.m. hurtling over Fenn’s Moss. A goods train ran each morning from Oswestry and returned in the afternoon also there was an early morning milk train especially for the farmers. During the summer months, on Saturdays, many “holiday trains” passed through between Manchester and Aberystwyth. In these days the station was manned by a station master, two porter signalmen and an office clerk. The Whitchurch to Oswestry railway first opened to traffic in April 1863. A previous attempt had been made by The Great Western Railway Company to build a spur line from their recently purchased Shrewsbury – Chester line. This would join at Rednal near Oswestry and head for Whitchurch via Ellesmere, Penley, Redbrook and to Whitchurch and to give access to Crewe and the north. Due to fierce opposition from land owners, this scheme was shelved, although our local estate owner Lord John Hanmer was fully in favour of the plan. A smaller company was duly formed with the same idea in mind. This time to connect Oswestry, Ellesmere and Whitchurch and so the O.E. & W. Rlwy Co. was formed.